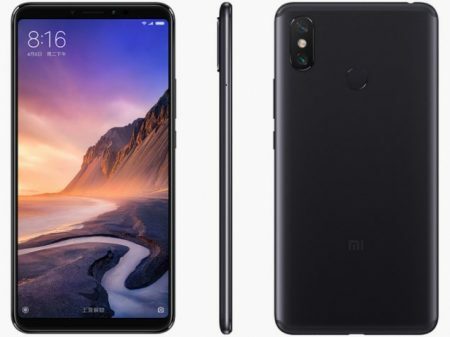 Home » Xiaomi » Xiaomi Mi Max 3 Advantages, Disadvantages, Review – Mini Tablet !! Xiaomi Mi Max 3 mid-range smartphone launched into the market. So, check out Xiaomi Mi Max 3 advantages (Pros), disadvantages (Cons), problems and drawbacks/defects before purchasing. Currently, it is not available on online shopping sites like Flipkart, Amazon to buy. Xiaomi Mi Max 3 comes with latest Android OS, v8.1(Oreo). It offers an IPS LCD capacitive touchscreen with a good screen-to-body ratio of 79.8% and Multitouch in it. Its display has good pixel density for its Full HD+ resolution(~350 ppi) with 18:9 aspect ratio and protected by Corning Gorilla Glass. Xiaomi Mi Max 3 comes with MIUI 9.5 user interface which offers great features. It is built with Front glass and aluminum body. The device is heavy to carry with 221 g with 8 mm thickness. Xiaomi Mi Max 3 has equipped with powerful mid-range Qualcomm Snapdragon 636 Chipset. It encompasses with Octa-core processor and Adreno 509 GPU for the better gaming experience. Brings an internal memory of 64/128 GB and expandable memory is supported up to 256 GB but uses SIM 2 slot. It offers Dual 12 MP (f/1.9, f/1.9, 1.4µm dual pixel PDAF) + 5 MP (depth sensor) with additional features like Dual-LED flash, HDR, panorama. It offers 8 MP front-facing camera with additional features like f/2.0, 1.12µm. It has the battery capacity of 5500 mAh(Non-removable) which is good for heavy usage and supports Fast battery charging 9V/2A 18W (Quick Charge 3.0). It offers a great loudspeaker with a stereo effect. It is available in Black, Blue, Champagne Gold colors. It has additional features like active noise cancellation with dedicated mic, Type-C1.0 reversible connector, 3.5 mm headphone jack adapter. Very heavy to carry and not a single hand usage smartphone. It comes with Hybrid SIM slot. So you can’t use your memory card and dual SIM at a time. Video Recording 2160p@30fps, 720p/1080p@30fps (gyro-EIS), 720p@120fps. 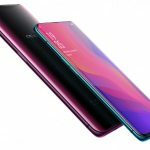 Oppo Find X Advantages, Disadvantages, Review - Very Innovative !! 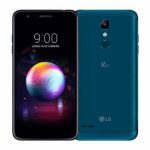 LG K11 Plus Advantages, Disadvantages, Review - Poor One ! !